Is C the Best Way to Start Your Career with Programming? 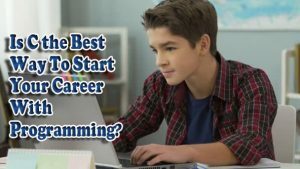 In this article, we will talk about a question which asked by most of the new students who want to start their programming career. Their’s question is that is C the best way to start my career with programming? As a coder, if you ask this question to that person who has experience of 30 to 40 years then you will get an answer that C should be your first programming language. And if you ask this similar question to that person who has experience of 10 to 15 years then you will get an answer that C shouldn’t be your first programming language. But you should know that what should you do? If you want to know the answer to this question then you should read this article till the end. Here you can get all information about the question. Most of the student starts their career with C language. But this is not always the right choice. Mostly students who start their career with C got bored. Because in C language programming you need to learn regularly variables loops, data types etc. Thus most of the student’s excitement level goes to down. If you haven’t interested in C programming then you should never try for C language. Because it reduces your excitement level to learn any programming language. Almost all programming language has the same concepts as Java, Python, Perl, Ruby etc. All of the programming languages have the same concepts like loops, variables, all core programming concepts etc. All programming language has the same concepts the only syntax has changed. You can start your career with any of the programming languages. But in this era, everybody says that C is the mother of all programming language. C makes to strengthen our programming foundation. Undoubtedly it’s right. So many people ask me what should I learn C programming language first. But, I ask them that is C the best option to start your programming career? We have many myths that you should learn C language before Java. Or maybe you should learn C before Python. It’s totally wrong. You can learn any programming language directly. If you will not start your programming career with C. Then maybe you will not feel bored with any programming language. Now we have a question that which programming language should we learn first? You can start with Python straight away. You don’t need to learn any other programming language. You can learn straight away to the Python. But if you want to become a web developer then there is no sense to start your career with python. You should start with HTML. At this time you should choose your career. If you want to become an android developer then you should start your career in Java. Or if you want to be an IOS developer then you should start with your career with Swift. Here you can read about that which programming language should I learn first? So I hope you got all the information for your question. 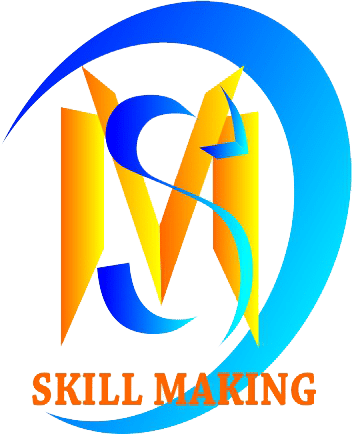 I hope you have got the answer to your question that is C the best way to start your programming career? If you love this article then please share your thoughts in the comment section. If you have any question regarding this article then you should leave a comment in the comment section. At the end of the article thank you for reading this article till the end. This entry was posted in blog and tagged best programming language to start your career, best way to start your career with programming, first programming langauge, is c the best way to start your career with java. Bookmark the permalink. ← Which Programming Language Should I Learn First?